Nike's latest release for Spring is the Metal Flash Pack featuring bright uppers with metallic silver Swoosh accents. The Mercurial Superfly, Hypervenom Phantom II and new Tiempo Legend VI are featured in Bright Mango, Green Glow, and Light Crimson respectively. These boots will be available in The Soccer Shop and online in adult sizes starting February 11th, 2016. 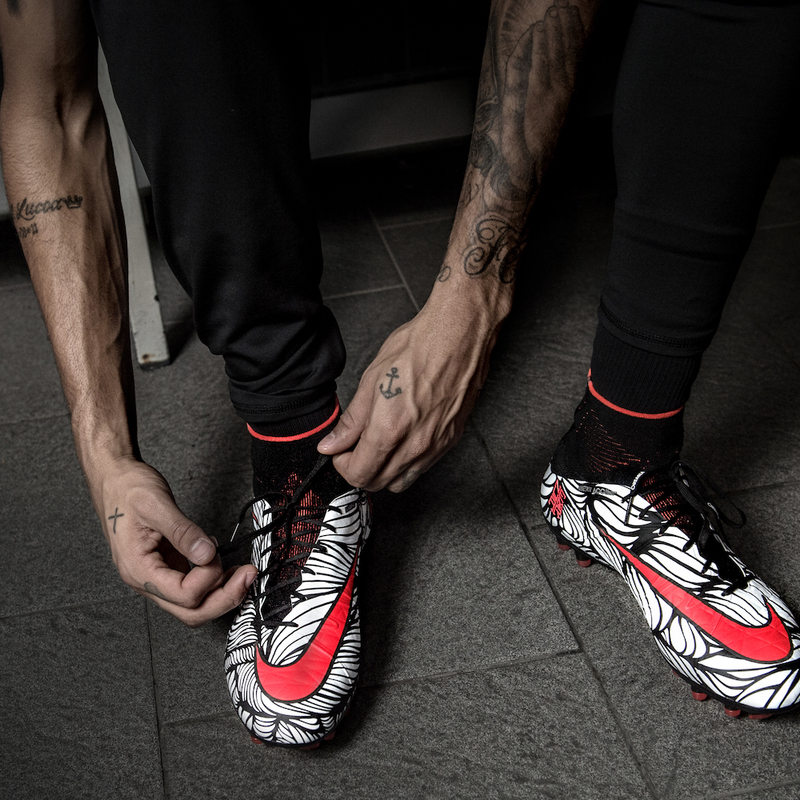 The Nike design team loves to look to Neymar Jr.'s tattoos as inspiration for the designs behind his exclusive Nike Hypervenom boots. The "Ousadia Alegria" Collection is no different- inspired by Neymar's life mantra tattooed on his calves, meaning "daring" and "joy." The boots feature a unique graphic designed by renowned Brazilian artist, Bruno Big. One boot features an expanded, all-over print of the heart graphic created to represent "Ousadia," and the other boot features a fist graphic to represent "Alegria." Both of these graphics are printed in their entirety inside the boots. For the launch of the collection, Bruno Big painted a giant mural over 1,000 boxes, which were then released as limited edition art pieces to accompany the first 999 pairs of the Hypervenom Phantom II purchased through the Nike Football App. Neymar Jr. was given the first box. The Neymar "Ousadia Alegria" Hypervenom Phantom II is available in The Soccer Shop and online in adult sizes. 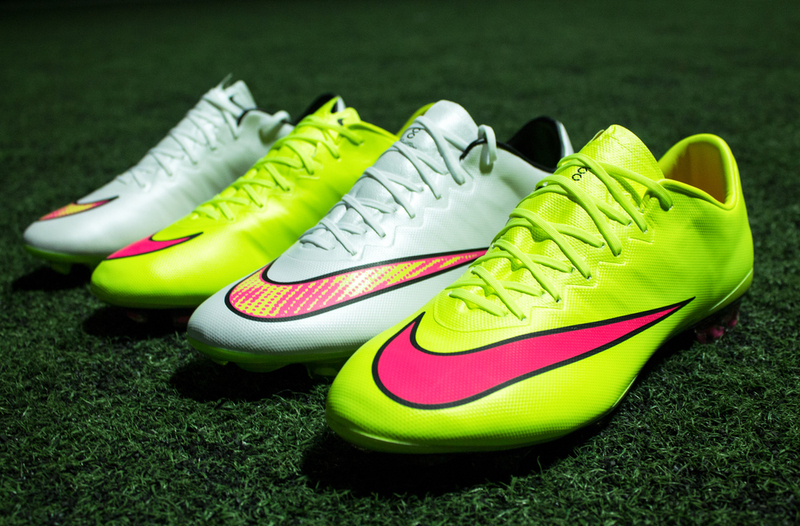 The Nike Hypervenom Phinish and Phelon (FG, IC & TF) are also available in adult sizes. The Hypervneom Phelon (FG, IC & TF) is available in youth sizes. The design team took a unique approach when they started the research phase of the design process for the new Hypervenom Phantom II. In order to find exactly where an athlete's foot flexed during soccer-specific movements, members of the design team wore white socks and spray painted their feet to identify prominent flex grooves during play. These grooves now make up the unique, and seemingly random, zig-zagging texture of the boot's upper. Another upgrade in innovation was the use of Flywire along the sides of the boot. Flywire, a technology already used in Nike running shoes, comes up around the eyelets of the boot's laces and creates a lock-down fit through the middle of the foot. The enhanced mesh upper is also featured in varying density throughout the boot for maximum comfort in the most critical areas. The Dynamic Fit Collar was also added for comfort, featuring an asymmetrical back seam that reduces distraction and tension on the Achilles tendon. The design was finished off with classic Hypervenom details: the NikeSkin coating combined with ACC (All Conditions Control) for touch, an asymmetrical lacing pattern for a larger strike zone, and a conical split-toe stud configuration for added stability and traction. The first release of the Hypervenom Phantom II features the Wolf Grey & Total Orange colorway from the Silver Storm Pack. The first ever Women's-specific colorway for the Hypervenom Phantom II was released as a part of the Women's World Cup Cleat Pack in Blue Lagoon & Volt. 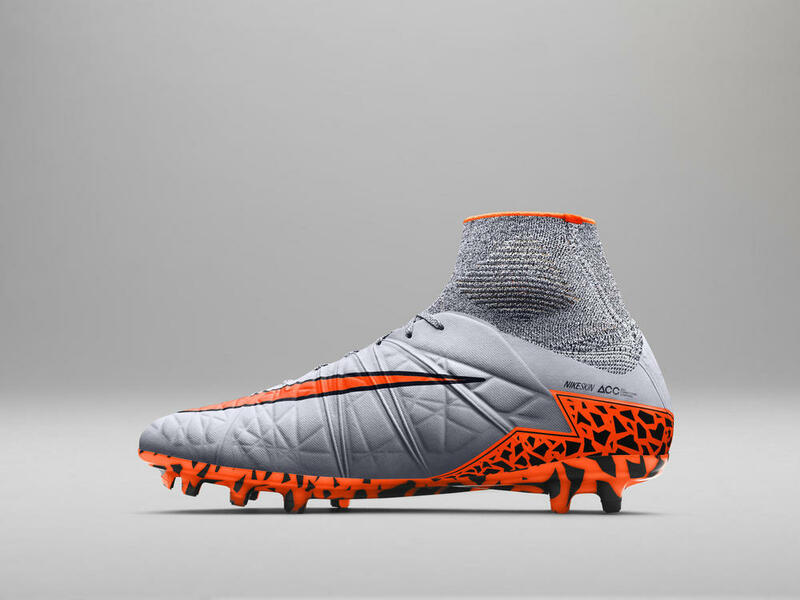 Neymar JR and Alex Morgan are Nike's main athletes wearing this boot, but they are also joined by the likes of other world class players such as Wayne Rooney, Edinson Cavani, Robert Lewandowski, Meghan Klingenberg, and Christen Press. 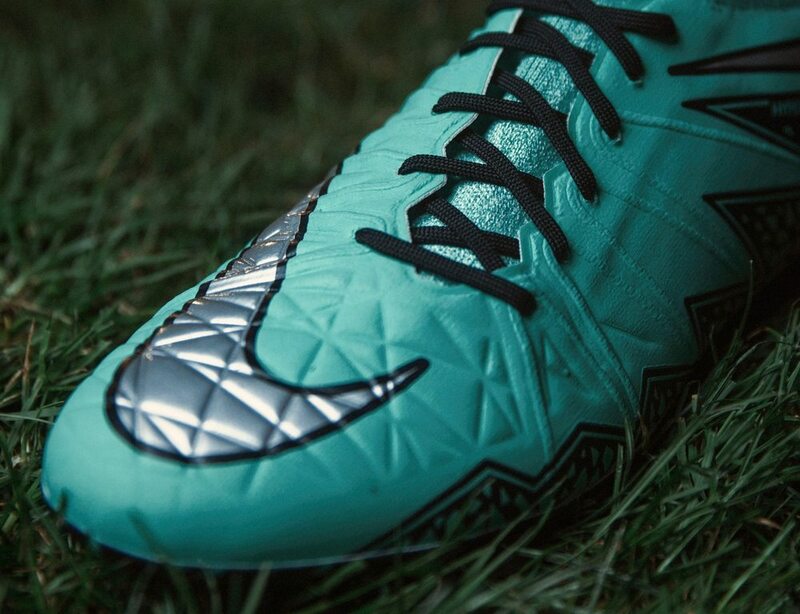 The Soccer Shop will carry the Hypervenom Phinnish (a low-cut version of the boot) in both adult and youth sizes. After great success with the "Shine Through" collection inspired by the New Years Eve celebrations in Brazil, Nike has just introduced their "Highlight Pack" for the 2015 spring soccer season. The Highlight Pack boasts a variety of different neon colorways derived from the pops of color found on the otherwise white Shine Through collection boots. Every cleat is, of course, accented with a high contrast trademark Nike swoosh. 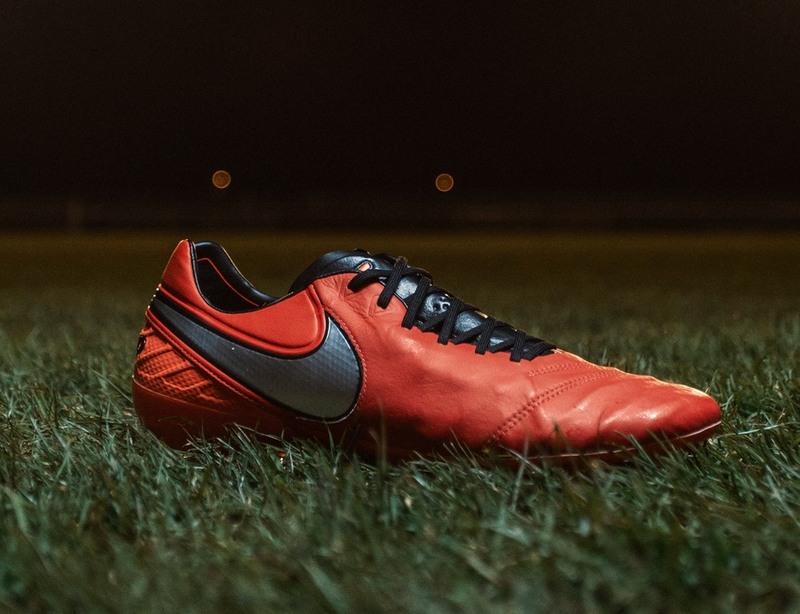 They are stand out cleats; “highlighting” the soccer players that flaunt them on the field. Enter the Nike Mercurial Vapor X in Volt and Hyper Pink; a brand new arrival in the Soccer Shop. These firm grounds are perfect for players aiming to be a highlight on the field. The cleats are designed with a tongue-less upper allowing the cleat to follow the natural contour of the foot, while providing support where needed. 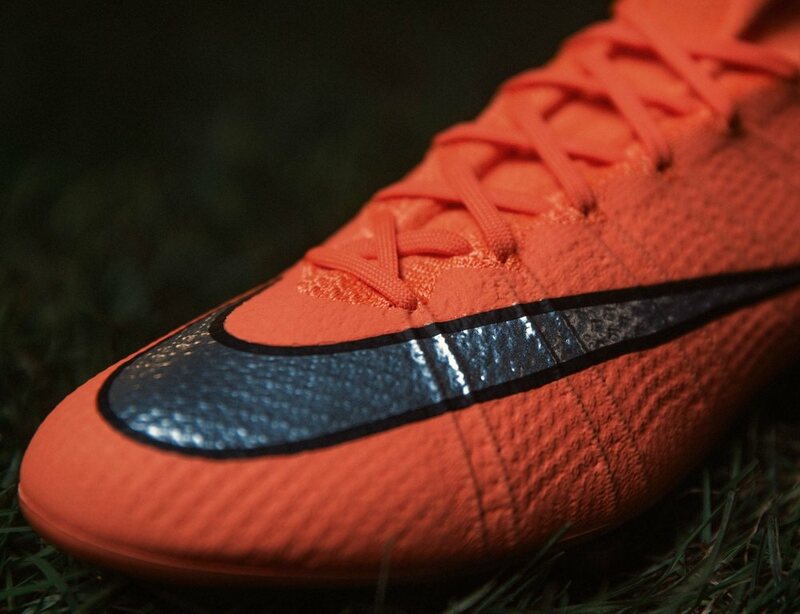 The micro-textured design makes it perfect for speed and ball control on both wet and dry soccer fields. Agile and deceptive attackers should check out the new Hypervenom Phantom in a striking Blue Lagoon and Total Crimson color way. The combination of NikeSkin with the 3-D honeycomb surface and Nike ACC (all conditions control), gives the player incredible control of both the ball and the field. The design allows the attacker to quickly change directions with a fast release and sprint. Nike's longest running kangaroo leather boot, the Tiempo Legend, stands out in the Highlight Pack with a Soar Blue and Volt colorway. Keeping the focus on optimal ball feel, the Tiempo Legend has been updated with hydrophobic mesh, Hypershield Technology, and ACC Technology. The classic Tiempo Legend is designed for comfort, maximum ball control and acceleration on the soccer field. Best for creative playmakers, the Magista Opus features a combination of NikeSkin performance mesh, a Kanga-Lite cage, and Nike ACC, so players can comfortably attack on the field without fear of losing control in wet and dry conditions. The Magista Opus pops in the Highlight pack with a unique Poison Green and Total Orange colorway. For Adults: the Tiempo Legend, Mercurial Vapor X, Magista Opus, and Hypervenom Phantom are available in Highlight Pack colorways in sizes 6.5-12. The drop-down versions of these shoes (Hypervenom Phelon, Mercurial Victory, Magista Onda, and Tiempo Legacy and Genio Leather) will also be available in sizes 6.5-12. For Youth: the Tiempo Rio II, Hypervenom Phelon, and both the Mercurial Vapor and Victory will be available in Highlight Pack colors in sizes 1-6 (Tiempo Rio is for smaller sizes up to 1.5).